Το συγκινητικό ποστ της Κουτσελίνη για τον νεκρό αδελφό της! Τα λόγια που συγκλονίζουν! Η Ζήνα Κουτσελίνη σήμερα έχει γενέθλια, όμως μαζί με εκείνη είχε γενέθλια και ο αδελφός της ο οποίος έχει φύγει από τη ζωή. Περηφάνια και όνειρο που γίνεται πραγματικότητα! NASA's Transiting Exoplanet Survey Satellite (TESS) began its search for planets orbiting other stars by leaving planet Earth on April 18. The exoplanet hunter rode to orbit on top of a Falcon 9 rocket. 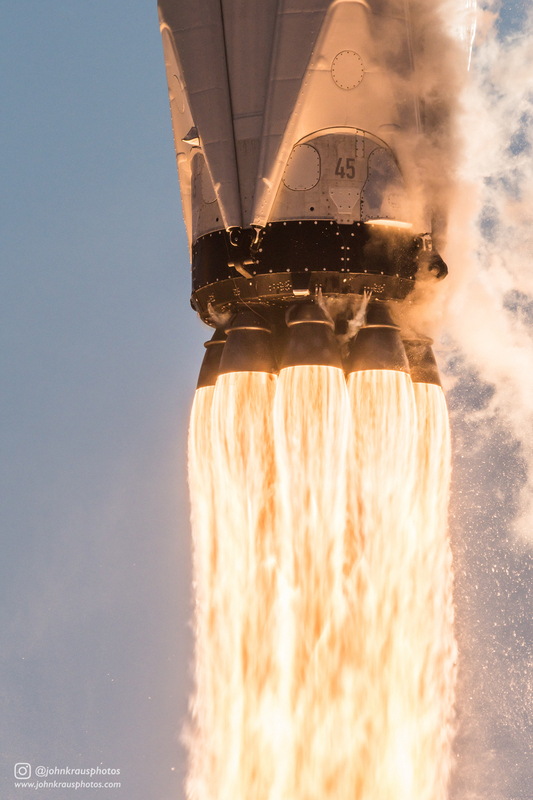 The Falcon 9 is so designated for its 9 Merlin first stage engines seen in this sound-activated camera close-up from Space Launch Complex 40 at Cape Canaveral Air Force Station. In the coming weeks, TESS will use a series of thruster burns to boost it into a high-Earth, highly elliptical orbit. A lunar gravity assist maneuver will allow it to reach a previously untried stable orbit with half the orbital period of the Moon and a maximum distance from Earth of about 373,000 kilometers (232,000 miles). From there, TESS will carry out a two year survey to search for planets around the brightest and closest stars in the sky. Have you seen the Moon lately? 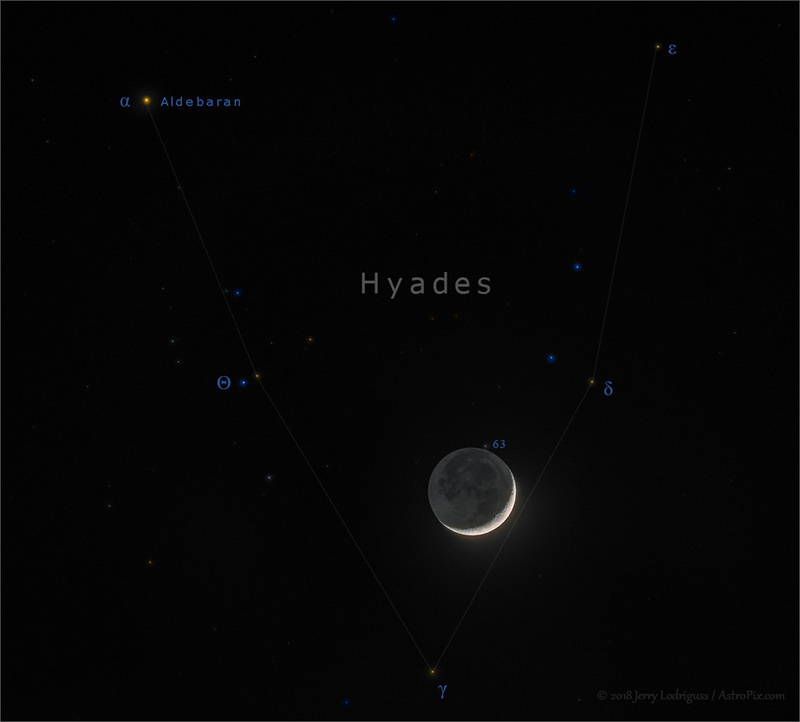 On April 18, its waxing sunlit crescent moved through planet Earth's night across a background of stars in the Hyades. Anchored by bright star Aldebaran, the nearby, V-shaped star cluster and complete lunar orb appear in this telephoto image. The engaging skyview is actually digitally composed from a series of varying exposures. Recorded in 1/60th of a second, the shortest in the series captures the Moon's bright crescent in sharp detail. Longer exposures, ranging up to 15 seconds, capture fainter background stars as well as earthshine, visible to the eye as the earthlit lunar night side. Δεν φαντάζεστε τι αποκάλυψε ο Μάριος Πρίαμος για παίκτη του Power of Love! Ο Μάριος Πρίαμος Ιωαννίδης από το Survivor αποκάλυψε στο Επιτέλους Σαββατοκύριακο κάτι που δεν γνωρίζαμε! "The Enchanted Islands of #Ecuador – the Galápagos," were photographed by NASA astronaut Ricky Arnold from aboard the International Space Station. Στις 28 Αυγούστου του 2016 ήταν η τελευταία εμφάνιση επί σκηνής του διάσημου Σουηδού DJ Avicii, ο οποίος πέθανε σε ηλικία μόλις 28 ετών. Η επιστροφή της Όλγας Λαφαζάνη, τα… τρουφάκια και τα παραπανίσια κιλά! Πέρασε ένας χρόνος χωρίς τον Στάθη Ψάλτη! Δικαίως να καμαρώνει με τις τρεις κούκλες της ζωής του! Πρόκειται για ένα ζευγάρι που ενώθηκε με τα ιερά δεσμά του γάμου τον Ιανουάριο του 2017. Παγκόσμιο σοκ για τον ξαφνικό θάνατο του διάσημου 28χρονου dj! Το τελευταίο του ποστ στο Facebook! Media are invited to see Vice President Mike Pence swear in Jim Bridenstine as NASA’s new administrator at 2:30 p.m. EDT Monday, April 23, at the agency’s headquarters in Washington. The ceremony will air live on NASA Television and the agency’s website. NASA has awarded a contract to the Manhattan Construction Company, of Arlington Virginia, for the construction of the Instrument Development Facility at the agency’s Goddard Space Flight Center in Greenbelt, Maryland. Students from Coral Gables, Florida, and the Texas Gulf Coast will talk with astronauts aboard the International Space Station next week as part of NASA’s Year of Education on Station. Παναθηναϊκός: Ώρα… κούπας για τους Παίδες!